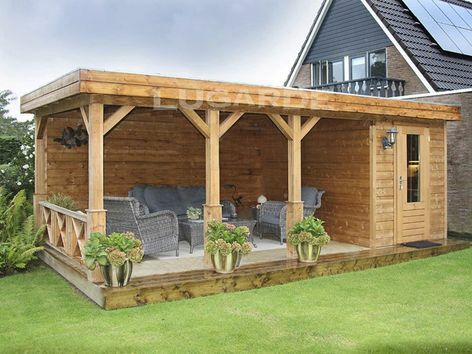 The Prima Alex comprises a small summerhouse with a large canopy ideal for sitting out. The canopy is partially enclosed by the back wall and has 3 pine posts to the front and cross balustrade to the side. 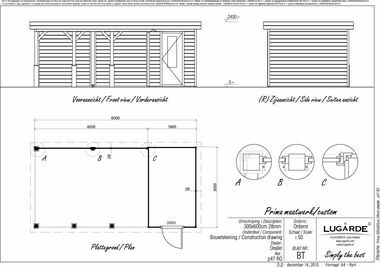 Approximate size 6m x 3m in 28 mm log thickness. The standard package includes 1 x DD02H single door. Larch decking floor is an option. The canopy measures 4.2m x 3m.